Welcome to Every Night is Game Night! Formerly known as Table for One, Every Night is Game Night is a weekly podcast on the Dice Tower Network that covers strategy and thematic games, with a particular emphasis on solo and cooperative play. We do weekly reviews of games - gotta feed the beast! Also, we always try to augment our reviews with special discussion topics. Our topics range far and wide; we have discussed difficult issues like slavery and colonialism in board games, and we've also talked about our favorite games for small children. Gotta keep everyone on their toes! In addition, we have interviewed some of the most noteworthy names in the board gaming universe, such as Ignacy Trzewiczek, Matt Leacock, Isaac Childres, Scott Almes, Josh and Adam Carlson, Ryan Laukat, Ricky Royal, Morten Monrad Pederson, and many more! We ran a short solo segment in the BGA podcast for a while and got some good feedback, so guess what? It’s back! But this time as a standalone podcast, Table for One. This is episode 1 and thank you in advance for listening. In this first episode I’m talking about my favorite game of the year thus far, Terraforming Mars, and how it plays solo. I also dig into a handful of other games I’ve been playing recently with solo variants including Scythe, The Castles of Burgundy: Card Game, and Eight Epics. 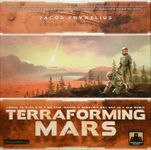 Join me for a run through of each of these games, full review of Terraforming Mars’ solo mode, and much more. Also, and this is a big one – if you like what you hear, stop by iTunes and leave a review. This is a brand new podcast, so every review helps grow the podcast and get it to a larger audience. I’m aiming to produce one of these 20-30 minute episodes every week. I’d love to keep doing it, but I’ll let the listener demand speak to that. Welcome back! On this week’s episode of Table for One, I’m talking about three more games that have been getting a lot of time at my table this summer. 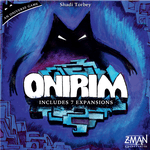 First, I’m digging into some recent news in the solo-verse, including the newest Torbey game in the Oniverse coming soon from Z-Man Games and some of the other hot games in the pipeline from FFG and others. 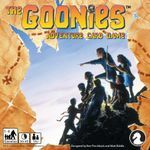 At the table recently I’m discussing The Goonies Adventure Card Game, a recent light co-op that really works as a solo game due to the shared nature of the actions. I’m also looking at the Backstage expansion for Shakespeare – a high score-tracking solo game that I’ve enjoyed despite the lack of challenge due to the quick, accessible nature of the theme and the beautiful artwork. I’m also discussing Zombicide: Black Plague, which I’ve played far more than I expected for a game with zombies. It’s a good one! Finally, we’re going to discuss how to play non-solo games solo, a question I’ve gotten several times and one that comes up a lot for any solo gamer who wants to play the new hotness but just can’t get it to the table. Learn the three situations in which I play a non-solo game solo, how to find variant rules, and some of the games I get to the table a lot that fit this bill. It’s that time of the week again! Table for One is back with Episode 5. This week I’m talking about one of the games I’ve been getting to the table a lot lately – Guilds of London. I look at the game’s official solo variant rules and how it compares to the base game, as well as some of the specific things I like and dislike about this version compared to the multiplayer version. In the second segment, I discuss some of the dexterity games I enjoy playing to unwind at the end of a long game, and how these simple yet challenging little games can offer a unique, and exciting experience that doesn’t require a lot of brain power after a long day of work. Finally, in the feature segment, I talk about my recent discovery of solo challenges on Board Game Geek and Facebook. These challenges have introduced me a ton of new and exciting solo variants, as well as a vibrant community of gamers discussing and interacting about their most recent game plays, favorite solo games, and much more. It’s a lot of fun to share notes, compare high scores, and work your way through tough challenges together. The entire episode is all Oniverse, all the way through - we're talking about Onirim, Sylvion, and Castellion, as well as some pining for the newest entry in the 'verse, Nautilion, coming later this year. Enjoy! and if you haven't yet, make sure to rate us on iTunes, connect on Facebook and Twitter (@BGAPodcast), and visit the website at www.boardgamersanonymous.com. Episode 8: When is it worth it? This week Anthony and Jason sit down to talk about one of the biggest (little) game series in the industry the last few years - Tiny Epic. From Gamelyn Games and designer Scott Almes, the Tiny Epic series hit the market a few years back with Tiny Epic Kingdoms and has since launched Tiny Epic Defenders, Tiny Epic Galaxies, and Tiny Epic Western, with the newest, Tiny Epic Quest, on Kickstarter right now. The common thread? Every one of these games has a solo mode. So we're going to sit down and discuss the games, what makes them work, and their solo modes, along with some of the issues that come up when discussing little (big) games. 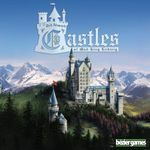 Make sure to connect with us on Facebook as well as Twitter, BoardGameGeek, and our website, BoardGamersAnonymous.com. Jason takes the reins this week with Episode 10 of Table for One. 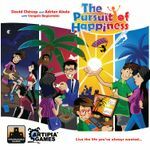 He discusses two games he's played recently - The Pursuit of Happiness and Vast: The Crystal Caverns - two very popular multiplayer games released in 2016 with solo variants. He also talks about a topic very near and dear to a lot of solo gamers - how to handle being an introvert during the holidays when visiting family. If you haven't yet, we'd love a quick review on iTunes or the Google Play store, and don't forget to check out all of the Table for One Episodes on BoardGamersAnonymous.com. We'll discuss the game, what makes it unique, and whether it's worth playing, along with comparisons to Lord of the Rings: The Card Game and its approach to the LCG model, now five years in. 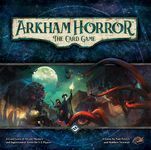 We'll also discuss some of the big questions (and concerns) around LCG and subscription-style gaming for solo play and whether we think it's worth it. Thanks for joining us this week on Table for One - please take a minute to leave a quick review in iTunes or Google Play, and don't forget to connect with us on Facebook, BoardGameGeek (Guild 1735) and BoardGamersAnonymous.com. 10 Different Games I'm too lazy to link here - check out the episode! 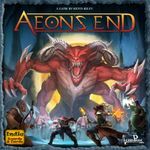 This week Jason and Anthony discuss the differences (and relative pros and cons) of digital board games vs. their analog counterparts. 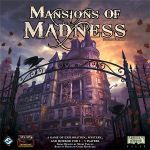 We kick things off with a rundown of our favorite digital board game apps of 2016 and then dive into the differences, the place these games hold in our collections and when we consider buying them (and don't). Check out our full rundown of this year in apps in Table for One episode 13. Happy holidays to all our listeners out there and make sure to check out part two of our Pan Pandemic episode next week! In part two of our Pan Pandemic special, we're looking at the biggest game release of the last two years - Pandemic Legacy. From the controversy over the rapid ascent of Pandemic Legacy in the Board Game Geek rankings to the actual nature of the game and where is stands in the pantheon of great narratives, games, and other mediums, we look at this great game and what makes it so special. We also talk at some length about how this game would play solo - both with the positive elements and possible pitfalls. 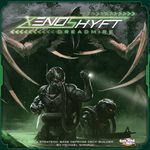 If you've played Pandemic Legacy before, we'll also spoil a bit of it and discuss those big moments we each had and how our groups responded to them. Enjoy the episode everyone and have a Happy New Year! Thank you for listening. We're excited for more great episodes next year! In part one of a special two part interview, Anthony and Jason welcome Kevin to Table for One to discuss the first 50 entries in the list, what goes into creating the list each year and some of the biggest surprises we spotted in this year's rankings. This week we’re diving into a pair of Cool Mini or Not releases from the last few months – starting with Masmorra: Dungeons of Arcadia, a dice driven dungeon crawl that just hit US shores for Kickstarter backers. It’s one of the few Cool Mini or Not games with a built-in solo variant, so how does it fare? 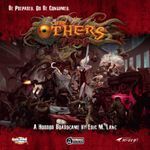 Next up we look at Eric Lang’s most recent CMON release – The Others: 7 Sins – which hit for Kickstarter backers in September and the public at large shortly after. How does the fan-made solo variant for this one stack up? Finally, we dive into a discussion of Cool Mini or Not’s overall practices and where we think they stand after a few years. 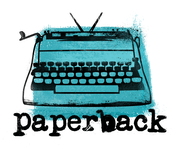 Does a company this size still need the surge of attention and built-in scarcity that a Kickstarter campaign provides? This week we have a very special episode featuring the designer of one of the hottest anticipated games of the year, Ignacy Trzewiczek. He joins us to discuss his newest game, which will release in the summer, and everything that went into it. Specifically, we ask him about the process of pulling the game together, the solo considerations in the design, and the differences and similarities between it and Robinson Crusoe. If you’ve been wondering about this game, how it will play, how much content comes in the box, and whether it’s worth picking up if you already own Robinson Crusoe, definitely check this interview out. And make sure to check back next week as well when we’ll have part two of the interview, discussing some of Ignacy’s other solo-playable games and the process of developing and implementing solo play in the game. 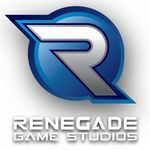 Be sure to connect with us on Facebook, Twitter, and BoardGameGeek to continue the conversation as well! Last week we sat down with Ignacy Trzewiczek and discussed First Martians, the big new release coming soon from Portal Games. We managed to keep him around a little longer and asked about some of his other games and how the solo variants and modes for those games were created, what that development process looks like, and what it takes for a game fan to get involved in the process of creating these types of variants. In part two of our interview, we discuss Imperial Settlers, Legacy, Robinson Crusoe a bit further, and some other exciting developments coming up for Portal, including Portal Digital, and a big announcement still pending for the GAMA Trade Show. Listen and learn what went into this quick, yet epic solo experience and when you should prepare for your wallets to be tugged on again for its inevitable followup in our full length interview and discussion with Chris. New to the podcast? Make sure to follow us on BoardGamersAnonymous.com, Facebook, and Twitter. Subscribe and rate us on iTunes and the Google Play store as well. It helps more people find all this solo goodness.